Dell’s former vice-president of worldwide sales for its cloud client team is now Pivot3’s new vice-president of global sales and chief revenue officer. 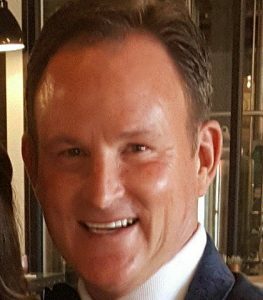 The Texas-based provider of hyperconverged solutions, known for its work in the surveillance space, announced the appointment of Rance Poehler this morning. He will be tasked with not only executing on the company’s growth strategy, but talent acquisition as well. Dell’s former vice-president of worldwide sales for its cloud client team, Rance Poehler, is now Pivot3’s new vice-president of global sales and chief revenue officer. Pivot3’s CEO Ron Nash pointed to Poehler’s channel and enterprise sales experience, and said the incoming executive will have an “immediate impact.” Pivot 3 has a 100 per cent partner-focused business model. Prior to working for Dell’s cloud client computing team, an $800 million line of business, he was the president of Panasonic System Communications Company North America division, a $1.1 billion B2B business. He has also held senior roles with Toshiba and IBM, and sold solutions into corporate data centres. While Pivot3 is not the conglomerate that IBM and Panasonic are, in a blog post, the company pointed to Poehler’s more than 25 years of sales and marketing experience, alluding to his ability to improve overall business operations and navigate emerging technologies. Poehler said he’s a big believer in Pivot3’s technology. In September, Pivot3 and Lenovo announced a global strategic partnership to develop, market and sell a new set of edge computing solutions targeting smart city security. The solution will feature Lenovo’s ThinkSystem servers powered by Pivot3’s hyperconverged infrastructure (HCI) software.